At its event last week, Apple revealed everything that was expected, but one product that was still missing was the AirPower charging mat. Apple’s inability to release this long-expected wireless charging pad, which was promised to debut this year, has now lead to speculations that the product may be scrapped. Apple first teased the AirPower charging mat last year when it revealed the iPhone X, the first Apple phone to support wireless charging. At the time, the company promised to release its own wireless charging pad sometime this year. However, since the AirPower charging mat was not mentioned at the event last week, many are now speculating that Apple has been unable to address the technical issues with it. Apple’s AirPower was showed as a wireless charger that could charge an Apple Watch, iPhone and AirPods simultaneously, but we’re now hearing that the company may have made the product so complex that it’s unable to handle it. Daring Fireball’s John Gruber claims the multi-coil design of the AirPower is causing problems which result in the device overheating. This is not the first time we have heard about this alleged overheating issue. A similar claim was made in June, and it looks like Apple is still unable to address the issue. Well-known leaker Sonny Dickson claims Apple engineers are trying to fix several problems with the AirPower charging mat. The first issue he mentions is the heat management problem, and he says the device “produces far too much heat, which causes performance setbacks, and can affect the ability of the devices to charge if they become too warm in the process.” He also said the overheating issue is also affecting the ability of Apple’s custom charging chip. He also claims the charging pad is struggling to communicate with the devices it is charging, which means it can’t read the charging levels of the devices that are connected to it wirelessly. The device is reportedly facing both hardware and software issues in communicating with the devices being charged, “especially the communication of Apple Watch and AirPod charging data to the iPhone, which monitors the charge level of all devices placed on the mat,” he said. He also said Apple engineers are struggling with mechanical and interference issues in the AirPower mat. According to Dickson, the device’s mechanism for charging multiple devices at the same time is blocking their efforts to “build or refine” it, making the mat inefficient, and contributing to the overheating issue. Apple promised that its AirPower charging mat would come with no “sweet spot,” meaning one could place their device anywhere on the mat to charge it. No other Qi charging mat currently offers such a capability. However, to achieve this, the AirPower uses 21 to 24 different power coils of various sizes. Apparently the use of so many power coils is also causing issues. Dickson also claims the complexity of the circuit is presenting several challenges. Such issues can be overcome by making the device marginally thicker and larger, but he says Apple is “unwilling to make compromises” on the design front. Will Apple release the AirPower or cancel it? To fix the issues, Gruber says the iPhone maker has either started from scratch or given up completely. 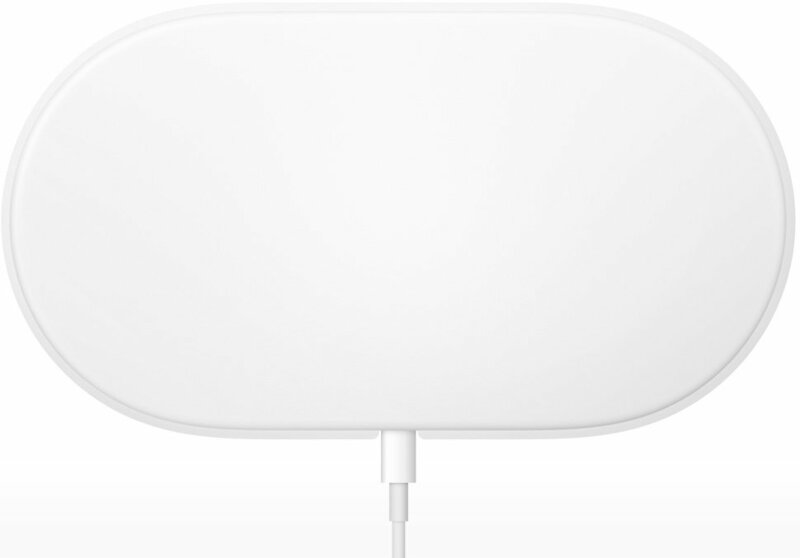 However, Dickson suggests Apple could use the AirPower technology on other wireless charging products. Thus, it comes as no surprise that almost all mentions of the AirPower charging mat were removed from the company’s website last week. As of now, there has been no comment from Apple about its AirPower charging mat. The company is expected to host an event in October to reveal the new iPad Pro and MacBook models. Hopefully the company will have something to share by then. Let’s not forget that Apple promised a 2018 release for the charging mat, which means that technically it still has more than three months left. If Apple addresses all the issues and reveals the AirPower in October, the product could hit store shelves before the holiday season starts.